The Rt. Hon. 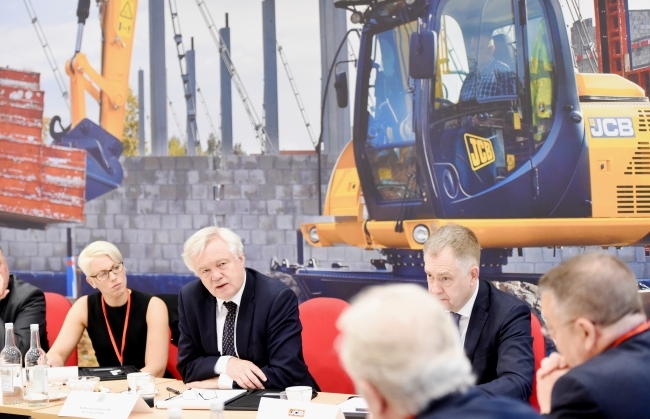 David Davis MP, Secretary of State for Exiting the European Union, has visited JCB’s World HQ to tour the manufacturing site and take part in discussions with some of its British suppliers – assuring them that the interests of business are at the heart of Britain’s Brexit negotiations. The Minister spent more than two hours at the HQ at Rocester, Staffordshire where he joined talks with small-to-medium sized suppliers to JCB, which manufacture components for the company’s range of construction and agricultural machinery. They included Gate 7, Katmex Ltd, Thos Storey and Rexroth. During the discussions, the companies were re-assured that whatever the outcome of the ongoing negotiations, the interests of UK business would be of paramount importance. 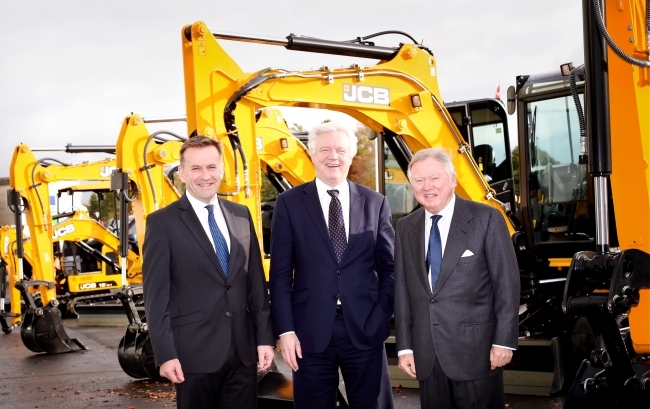 Mr Davis also met JCB Chairman Lord Bamford and JCB CEO Graeme Macdonald during the visit. During his visit Mr Davis toured the production line at Rocester which manufactures backhoe loaders. JCB celebrates 65 years of producing this iconic machine next year and has been the world’s number one producer of backhoes for 17 consecutive years.